In anticipation of TVOne’s new season of R&B Divas: LA, I planned to explore the 90s queen of West Coast R&B, Michel’le. I figured many viewers would be curious and want a refresher on her career. And let’s be honest, curiosity = page views. I ain’t new to the game. But the first episode of the new season aired last week, so I’m tardy to the party. I’m not tripping, though. It’s not like y’all pay me for these pearls of wisdom. The intro episode of R&B Divas shed a little light on Suge Knight’s Smurfette, but for the full story, all you have to do is keep reading. I’ve got you covered. Michel’le Toussant first captured the attention of fans in 1987, providing vocals for World Class Wreckin’ Cru’s 1987 single “Turn Off the Lights.” The planned vocalist couldn’t make the session, so a last-minute call was made to Michel’le. That call wound up changing her life. WCWC’s sleepy spoken-word flow was the equivalent of listening to paint dry, which is why Michel’le easily stole the show on the track. Her powerful vocals easily made her the center of attraction. To this day, I still don’t understand how someone with such a powerful singing voice has the speaking voice of Fivel’s little sister. “Turn Off the Lights” quickly became a hit and Michel’le was soon courted by the track’s producer, Dr. Dre. “Courted” in more ways than one, that is. She was signed to Dre’s Ruthless Records and she also began dating the good doctor, who I’m sure was happy to make plenty of house calls. Michel’le’s self-titled debut dropped in 1989 and it didn’t take long for her to rack up hit singles. Her biggest hit, “No More Lies,” climbed to No. 7 on the pop charts. For years, when she said, “Chill out, your nose is growing, Pinocchio,” I thought her voice was digtially distorted to sound like Pinocchio. I had no idea that was her real speaking voice. My bad. The upbeat “Nicety” fared well on the R&B charts, reaching No. 5. But it was the No. 2 R&B hit “Something In My Heart” that became her signature track. Lil’ Mo said on R&B Divas: LA that one note will make you wanna get pregnant. She ain’t lying, it’s a baby-maker. “Keep Watching” and “If” also made strong showings, pushing the album to gold status. What’s most overlooked about Michel’le’s debut is that she was one of the first singers successfully to blend hip hop into R&B. Mary J. Blige gets a lot of credit for that trend, but Michel’le was about five years ahead of that curve. Give Michel’le props for being a pioneer. After her debut album, she was well on her way to superstardom. But that didn’t happen. What gives? 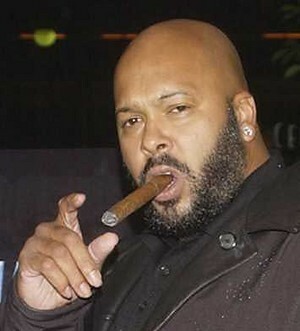 …Excuse me while I book a flight to Peru to escape the wrath of Suge Knight. For those who don’t know Suge’s reign of terror in the early 90s, here’s a synopsis. Ruthless Records, Michel’le’s record label, was founded by West Coast rap luminary Eazy-E. Eazy is also the most overrated rapper to ever exist, but let’s not speak ill of the dead. Anyway, Dre thought Eazy-E was being stingy with profits from rap group NWA’s records. Dre decided to start a new label – Death Row Records – with Suge. Eazy wouldn’t let Michel’le and a few other artists out of their contracts so Suge (allegedly) stormed Eazy’s offices with pipes and baseball bats like the old Streets of Rage game. Eazy, who isn’t an idiot, freed Michel’le from his grasp and she went to Death Row. Or so the story goes. Michel’le began work on her sophomore album, Single Black Female, but it was eventually scrapped for the darker Hung Jury, which dropped in 1998. “Hang Tyme,” and its dumb “futuristic” video, got a lot of love on BET but it didn’t turn many heads. “Can I Get A Witness” was a much better cut, but also failed to gain any momentum. Once Dre left Death Row, their relationship crumbled, both personally and professionally, but not before Michel’le gave birth to their son. A few years later, Michel’le married Suge (!!!) and gave birth to his son in 2002. I’m sure this news will shock you, but that relationship didn’t last either. A few years ago, the pair engaged in a nasty fight over child support but I assume that issue was resolved quietly. After her second album underperformed, Michel’le was mostly content focusing on motherhood. She quietly dropped the track “Freedom to Love” in 2011 to little fanfare. It sounds a little dated now but it’s not bad. Should She Come Back? : Well, thanks to R&B Divas: LA, clearly she has her sights set on a comeback. Michel’le’s glory days have passed but her voice is still pretty serviceable. As long as she caters to 30-plus listeners and doesn’t chase the 106 & Park crowd, a successful comeback isn’t out of the question. I only have one request for you, Michel’le: Stay away FAR from those West Coast rappers. If you’re gonna date anyone, holla at Bow Wow or something. At least if there’s drama we know you can take him down. For more on your favorite forgotten artists, visit our “What Ever Happened to…” archive. I remember Nicety…. Had forgotten who did it! !